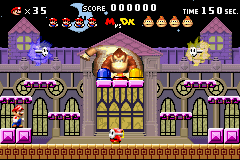 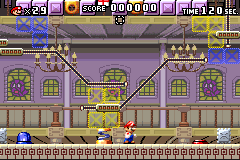 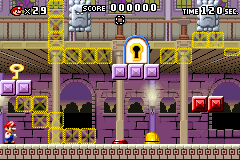 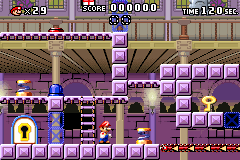 Spooky House is the fourth main world that Mario chases Donkey Kong through in Mario vs. Donkey Kong. 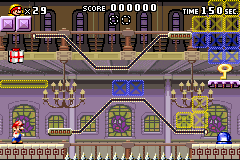 This place is a haunted mansion. 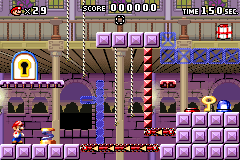 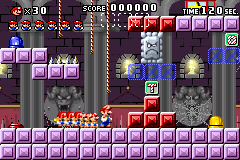 It introduces Polterguys, which turn into blocks when Mario steps on a switch of their color. 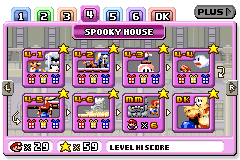 Thwomps, Thwimps, Boos, Sir Shovalots, and Candles also make an appearance in this world, and its plus counterpart is Spooky House Plus. 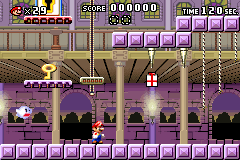 This page was last edited on May 10, 2018, at 14:02.